Consumer advocates and some state officials quickly lashed out against the delay, calling it damaging and potentially illegal. Maura Healey, the Massachusetts attorney general, called the delay a violation of federal law and a “betrayal of students and families across the country who are drowning in unaffordable debt.” She said she would challenge it in court. Critics including Senators Elizabeth Warren of Massachusetts and Patty Murray of Washington, both Democrats, argued that the department could not unilaterally suspend negotiated rules, which go through a process intended to ensure that the viewpoints of the public and those affected by the rules have been taken into account. “I am extremely disappointed that Secretary DeVos has decided, once again, to side with special interests and predatory for-profit colleges instead of students and borrowers,” Ms. Murray said in a statement. The Obama administration pushed through sweeping regulatory changes after hundreds of for-profit colleges were accused of widespread fraud and subsequently collapsed, leaving their enrolled students with huge debts and no degrees. 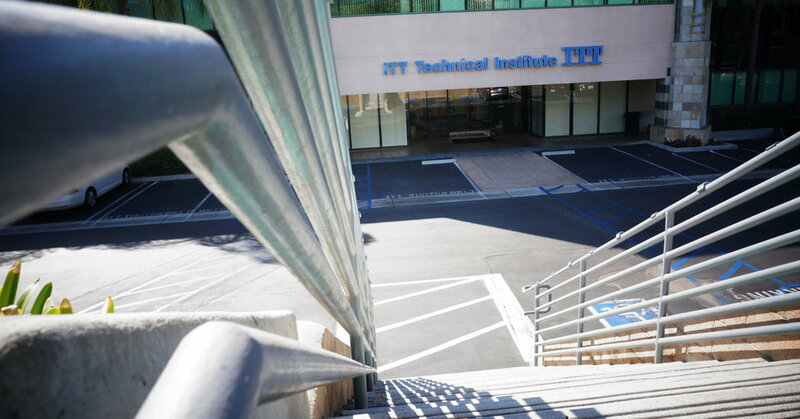 The failure of two mammoth chains, Corinthian Colleges and ITT Technical Institutes, capped years of complaints that some career-training colleges took advantage of veterans and other nontraditional students, using deceptive marketing and illegal recruitment practices. Few higher-education institutions could survive without federal student aid, which includes billions of dollars in guaranteed loans, and the money kept streaming in despite warning signs at some colleges that included surging defaults, missed standards and numerous government investigations and lawsuits. For-profit colleges have vehemently opposed the regulations, known as borrower defense, saying that the rules endanger their viability. They say the industry is being unfairly singled out. Industry executives are particularly riled by automatic loan discharges for broad groups of defrauded students and by a new ban on forced-arbitration agreements, which prevent students from bringing lawsuits. Under the rules frozen on Wednesday, education officials could, for example, take into account lawsuits, accrediting agency reports and graduates’ job placement and wage records in deciding whether an institution remains eligible for federal student aid. The goal was to hold violators financially responsible for soured loans instead of dumping the burden on taxpayers. In its announcement, the Education Department cited as reason for the delay a federal lawsuit filed on May 24 by an association of for-profit colleges in California that is seeking to block the rules. On Tuesday, eight state attorneys general, including Ms. Healey, filed a motion to intervene in the California association’s lawsuit in order to prevent the rules from being delayed. Existing rules allow students to apply for a loan release if they attended a college that broke state laws. But that process, once used very rarely, has been overwhelmed with claims after a wave of failures by for-profit institutions. Some students have had applications pending for years. Borrower advocates say the system came to a halt in the first few months of the Trump administration. The gears are turning again, according to the Education Department — but only for a fraction of those who are waiting. In January, one week before President Trump took office, the Obama administration said 23,000 applicants had been notified that their claims had been approved. Nearly 7,000 of those claims have been discharged, and the rest will be soon, according to Elizabeth Hill, a department spokeswoman. But the Obama administration also said in January that it had 68,000 applications awaiting further review, on which no decision had been made. Those cases “will still be reviewed under current statute,” Ms. Hill said. Last week, a federal court judge in California ordered the Education Department to file a report within 90 days on one borrower’s application that has been under review for more than two years. Another borrower, Victoria Linssen, applied in October for forgiveness on the $50,000 in federal loans that she had taken out to study photography at the Brooks Institute in Ventura, Calif., a for-profit college that shut down last year after extensive regulatory criticism and penalties. The college lied about its accreditation, its job placement rate and the wages its graduates earned, Ms. Linssen said. Ms. Linssen said she had made many calls to the Education Department about her claim. “All they tell me is that my application has been received, to sit tight, that there is nothing else I can do, and that it could be a year, potentially two years before I hear a decision,” she said. A key figure in the Education Department’s regulatory rollback is Robert S. Eitel, previously a top lawyer at two companies that operate for-profit colleges, Career Education Corporation and Bridgepoint Education Inc. Mr. Eitel, who also worked at the department when George W. Bush was president, is the co-chairman of its regulatory review task force. Like all vocational college operators, Bridgepoint would be directly affected by any change in both the borrower-defense and gainful-employment rules. The publicly traded company has previously been investigated by state prosecutors, the federal Consumer Financial Protection Bureau and the Securities and Exchange Commission. Pauline Abernathy, executive vice president of the Institute for College Access and Success, a nonpartisan research group, called it “outrageous” that Mr. Eitel was in a position to influence rules that could significantly affect a recent employer of his. Mr. Eitel recused himself from the review of gainful employment regulations, according to Ms. Hill, the Education Department spokeswoman. That review was led by James Manning, the department’s acting under secretary, she said. Ms. Hill said that the agency’s ethics officer had told Mr. Eitel that he was not disqualified from working on the borrower-defense regulations that were to take effect next month. But Mr. Eitel is not involved in evaluating existing borrower-defense claims, she said, because some of those claims come from students of his former employers’ colleges. An article on June 15 about the Trump administration’s review of Obama administration rules intended to crack down on predatory for-profit colleges referred incorrectly to part of an Education Department action involving such schools. The department said that it would reconsider provisions involving the “gainful employment” rule, which cuts off loans to colleges if graduates’ earnings cannot meet their debt burden, not move immediately to halt the loans. Sugar tax: Will paying more for fizzy drinks and alcohol make us healthier? April 5, 2018 Comments Off on Sugar tax: Will paying more for fizzy drinks and alcohol make us healthier? Plant-based milk vs. cow’s milk: What’s the difference? August 18, 2018 Comments Off on Plant-based milk vs. cow’s milk: What’s the difference?